youth service called "Encounter", and a regular small discipleship group called "Explore". Engage is a youth cafe open to ages S1 to S6. Come and enjoy good music, good food and good company. Pool, air hockey, Wii, music games and activities. 8pm till 10pm every Friday night during term time at BCFC. Encounter is held on the 2nd Sunday of each month at BCFC 6:00 till 7:00/ 7:30pm. 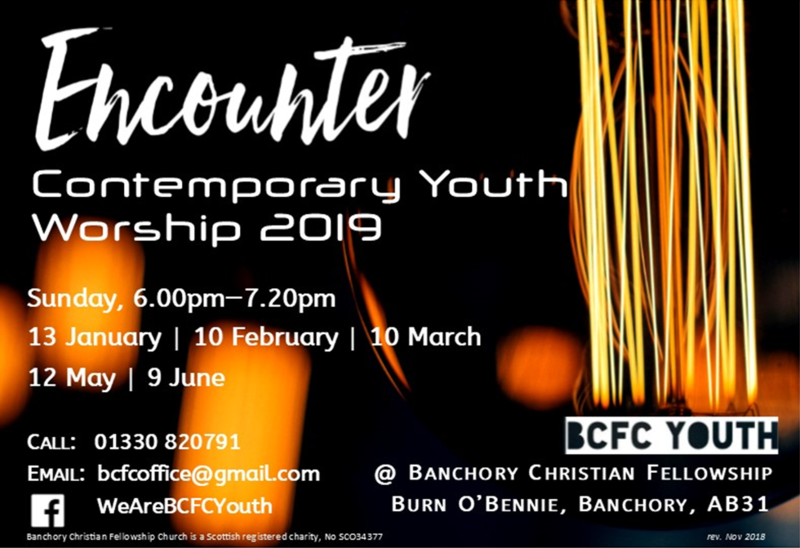 Encounter is a youth service but is welcome to all. Follow us on Facebook below for regular updates or visit this page.